Our Stig dining chairs are a sleek and sophisticated pair that take the best elements from Scandinavian design. Their modern crossed legs are crafted from solid oak. 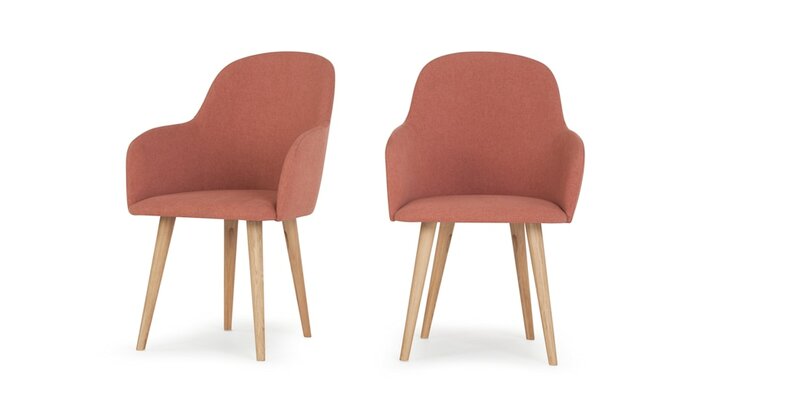 Upholstered in a Dusk Pink fabric, these dining chairs add character to a living space, while the curved, high back creates a timeless silhouette. The generous upholstery makes our Stig chairs suitable for longer sittings. You could even use them as occasional chairs in the bedroom or living room.